In our endless quest to simplify and slim laptop computers and other portable devices, sometimes functionality gets sacrificed in the name of sleek efficiency. 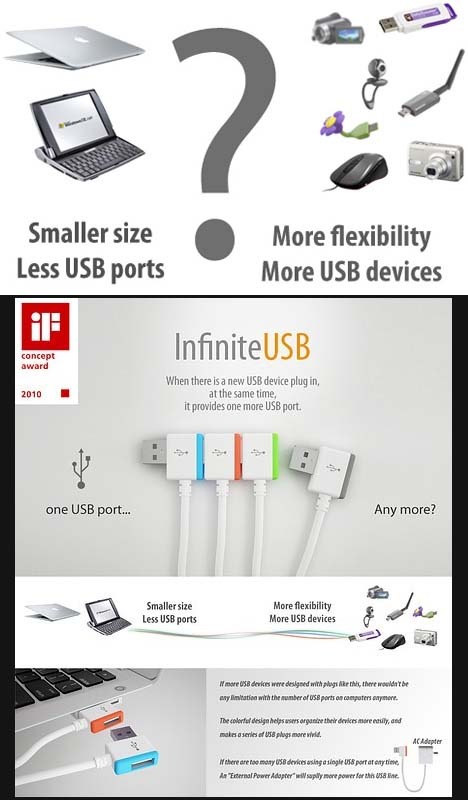 Instead of suggesting you add more USB ports to your ultra-thin device, Gonglue Jiang proposes you simple stack more USB devices into a single port. 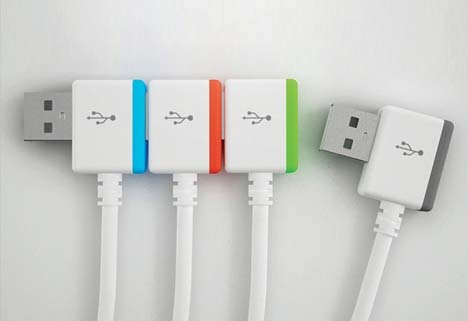 A color-coding system helps keep track of which cord is running which extension, though beyond three of four this otherwise-brilliant solution could start to seem a tad awkward. 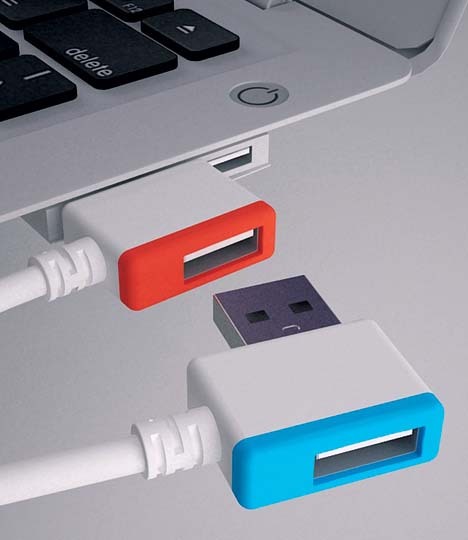 A neat extension (no pun intended) of this idea would be to have the first in line be a storage device – something you might leave plugged in much or most of the time anyway, and that wouldn’t add another cord to the mix.